The sexiest man alive has something to say - check out the interview here. 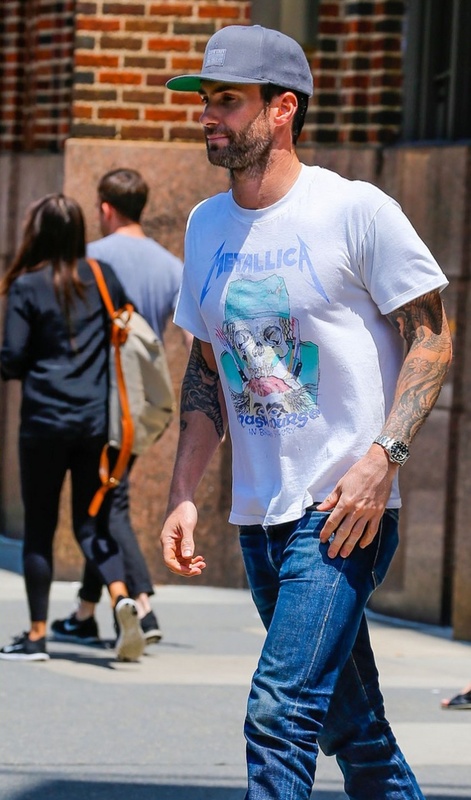 Maroon 5 front man Adam Levine pays tribute to the heavy metal band Metallica with graphic-print tee during radio interview in New York. He wore his tee with a pair of straight cut medium wash jeans, a baseball cap and sneakers. The sexiest man alive is the lead singer of pop-rock group Maroon 5. 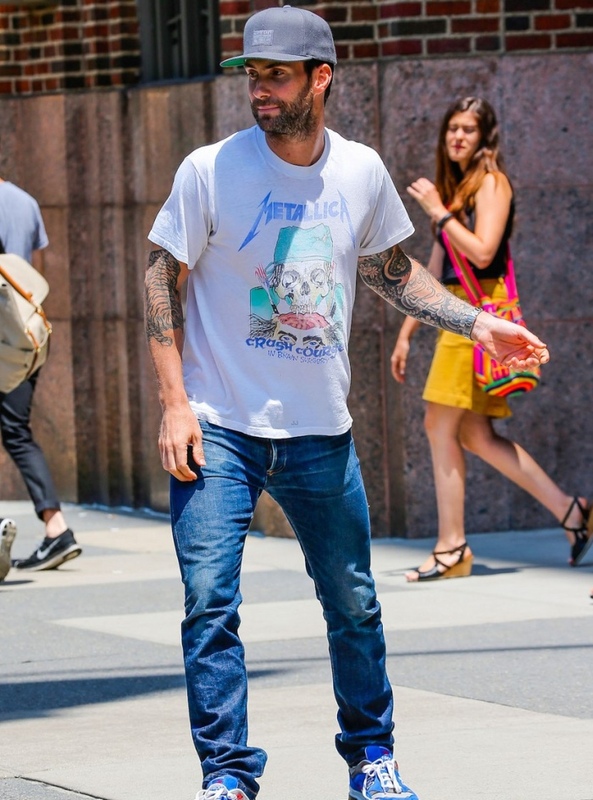 But even Adam can appreciate the talents of his peers, it’s obvious here, as the soulful singer paid tribute to heavy metal legends, Metallica, with a T-shirt emblazoned with an image from the band’s song “Crash Course In Brain Surgery”. You can buy similar straight jeans here. Check out Adam’s interview in the video below.